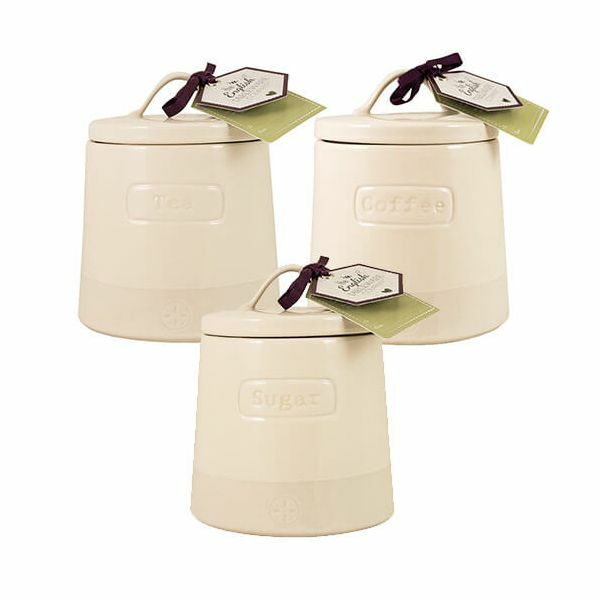 This 3 piece set consists of an Artisan Two Tone Cream Tea, Coffee and Sugar canister is made from durable ceramic and hand crafted for this artisan collection. Very pleased with this purchase, they are just what I was looking for. It would have been even better if the company could add a bread crock to this line of products so everything matches up. Very pleased though and would recommend the products.